I have joked on this forum before about Barack Obama and Donald Trump being Weird Al fans, but an astute friend just pointed out to me that Donald Trump Jr, the actual son of the current president, actually in real life follows @alyankovic on Twitter. At least he has good taste. 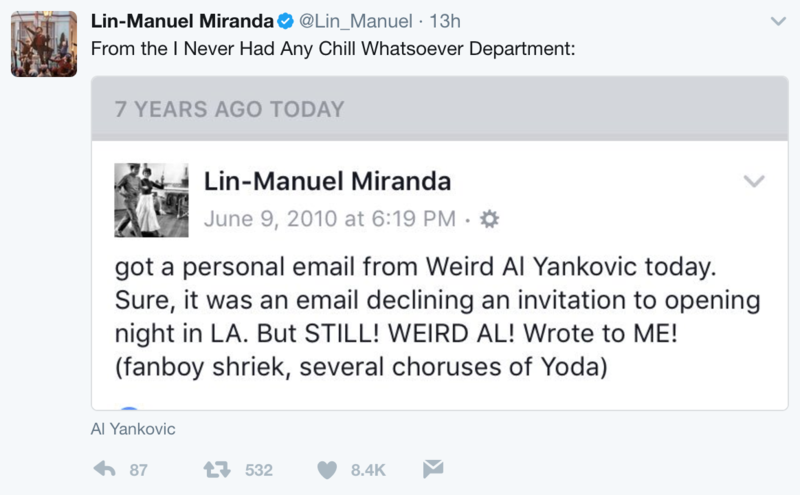 Al doesn't follow him or his father on Twitter, does he? LaikaComeHome wrote: At least he has good taste. Al doesn't follow him or his father on Twitter, does he? 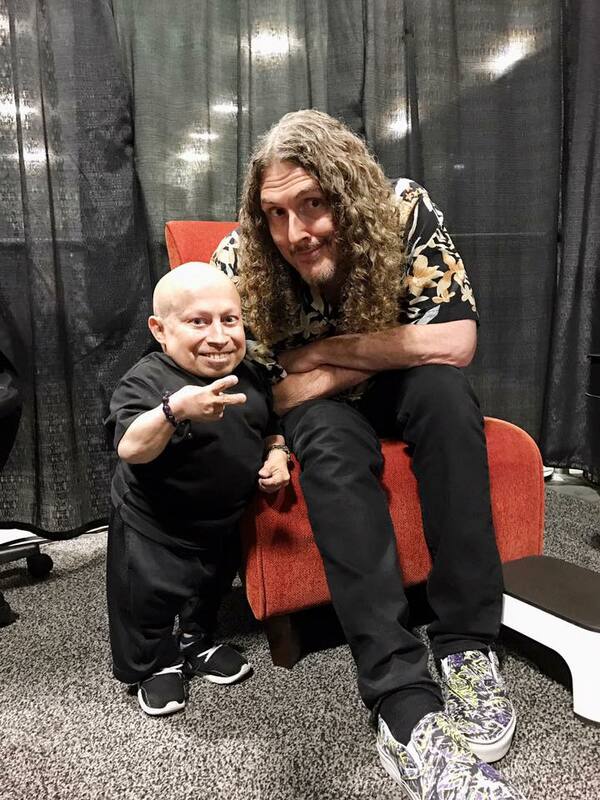 Verne Troyer posted this to Reddit, amassing over 56k upvotes in a couple hours. The caption was "This guy is a little weird but he let me take a photo with him anyways"
Adam West has died at age 88. My childhood is officially over and the city of Quahog will never be the same. Sure Al you love Lin and Hamilton NOW but where were you for In The Heights?? Also I know that technically Joe Jaffa brought up a Hamilton polka medley first in this topic but I would just like it to be known that I had also thought a Hamilton polka medley would be perfect independently of this. I'm not stealing! Would it be like, a full summary? Or pick and choose songs?? I just want to start as many conspiracies as possible in one post, is there a WOWAY Award for that?